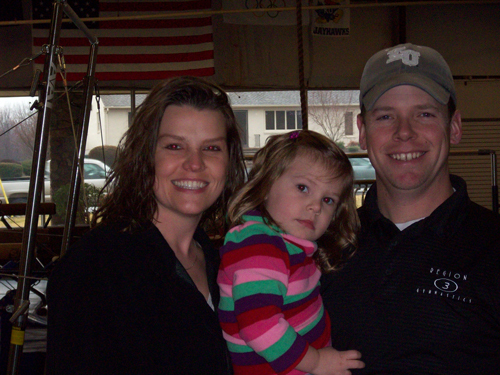 The owners of Pure Gymnastics are Tim and Kimberlee Kappel of Lynchburg, Virginia. Kimberlee grew up in Lynchburg, graduated from Brookville High School and James Madison University. After living in Colorado and Kansas, Tim and Kimberlee met in Kansas and relocated to Lynchburg in 2011 and now have two children. They have been business owners for over ten years and have experience in areas such as a coffee shop, custom furniture company and now a gymnastics facility. Their desire to teach kids and a love for sports, along with having an entrepreneurial spirit, has brought them back to Lynchburg to open a quality Gymnastics club. Tim's gymnastics and coaching experience along with Kimberlee's business and marketing experience will help Pure Gymnastics grow and expand to fit the needs of Lynchburg. Giving back to their community is very important to both, and they have volunteered with several organizations such as Junior Achievement, Big Brothers & Big Sisters, and Young Life. Tim and Kimberlee are highly involved business owners and manage all daily operations with running their business. All Pure Gymnastics staff have a strong work ethic and commitment to excellence to give your child a quality and pure gymnastics experience helping them to reach their highest potential. Tim Kappel, from Arlington Heights, Illinois began his gymnastics career by competing in a private club and on his high school gymnastics team through the age of 16. He moved to Lawrence, Kansas in 1996 to attend college. While in Kansas Tim began coaching recreational gymnastics and competitive teams and had early success. In 2000 he accepted a job at Diamond Gymnastics and Dance and continued to coach a successful team program in the state. Tim has a reputation of building gymnasts with a strong basic foundation of the sport and a healthy respect for the sport as well. Tim''s accomplishments include assisting and coaching 17 state champion teams, numerous individual event state champions, assisted three TOPS national team members, three level nine national champions, and three international elite gymnasts. He led over 40 gymnasts to all-around state titles and more than 40 gymnasts qualified to regionals and nationals. Tim has trained under national team, international team and Olympic team coaches. He has worked as a clinician at state and regional clinics across the Midwest, as well as a summer clinician at Lake Owen camp in Wisconsin. Tim attended the University of Kansas and studied Psychology and Sociology. He also has experience in coaching tumbling and cheerleading as he was a cheerleader at KU from 1996-1999. Along with managing and coaching at a gym, Tim also has a variety of other skills. He owned and operated a coffee shop as well as a woodworking business in Kansas. He also makes time to give back to the community by regularly volunteering with Junior Achievement at elementary schools.